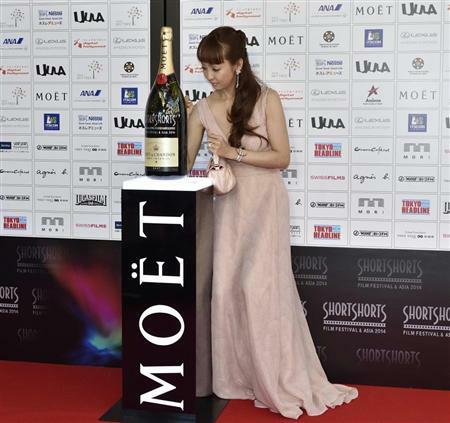 Moet and Chandon has a long history of supporting and being associated with the film industry, and the glamorous tradition has carried over into the Japanese market. 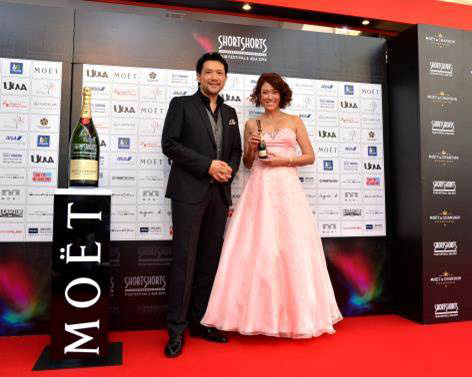 Since 2012, Moet and Chandon has supported the Short Shorts Film Festival & Asia, produced by Tetsuya Bessho, with the Moet Star Award which recognizes future stars of the Japanese and Asian film industry. Celebrities, directors and actors were photographed on the red carpet with mini bottles of Moet and Chandon in a photo session format, and also asked to sign a magnum size bottle. A large number of articles were secured in TV, magazines, newspapers and online media as a result of the attractive array of photo opportunities offered for coverage. Coverage included not only entertainment media, but also informational media who picked up on the cultural aspect of the event, adding to the value of the brand.